Our most common size paired with our most asked for feature. 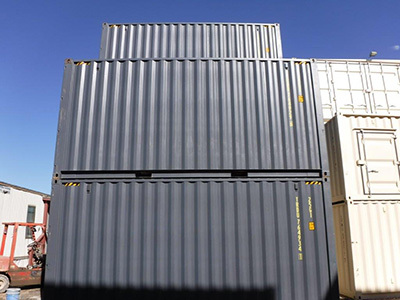 The 20′ high cube container is perfect for light, voluminous or bulky cargo. The dimensions of this container is under ISO regulation and ready for transport. The function of this certain size container is very practical and utilized for efficiency. Providing an extra foot in the vertical allows the customer to fit all of the taller cargo in our most popular container size with just a bit more room that adds to the overall space and function. For more information, contact us today and our Advanced Container Team will be ready to help.